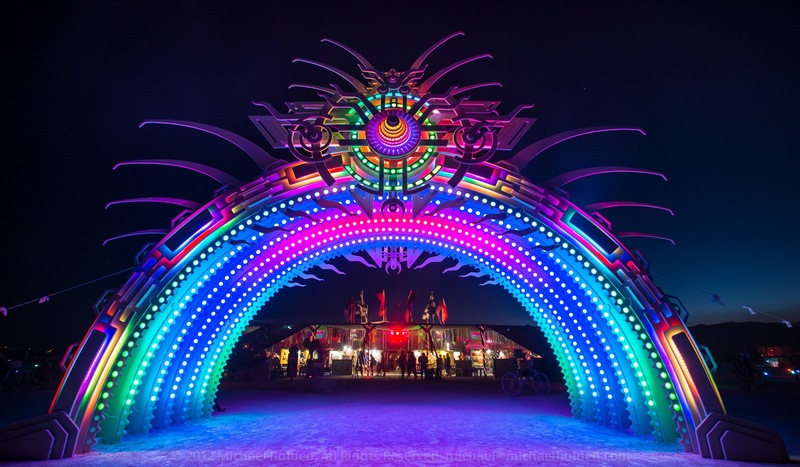 The advancement of visionary art and how it now integrates with stage design at festivals all over the world is nothing short of mind-blowing. Aside form stage design, the combination of different mediums of art at festivals — music, dance, visual art, performance — has exploded, and works in synergy to push the human consciousness into previously unknown territory. In order to understand fest art's evolution, we talked with premiere festival artist Carey Thompson , who has been integral to the explosion of visual art at modern festivals for over a decade – way before festivals ruled American culture. 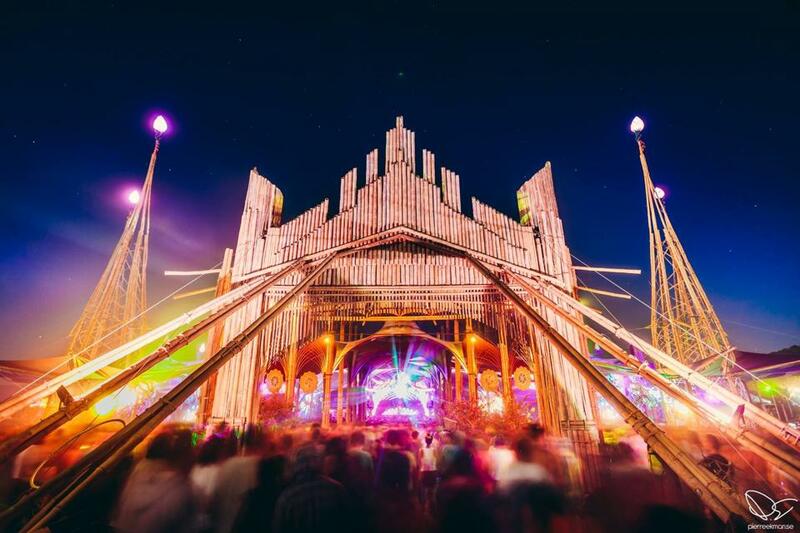 Not only has he designed stages for Dave Tipper, he's been the art director of Boom Festival since 2010, and has contributed installation works to numerous festivals including Lightning In a Bottle , Electric Forest , Envision , and EDC Vegas . He works in a variety of mediums, from watercolor to laser-mapped custom stages, and also shares an inspiring perspective on art, creativity, and the festival culture as a whole. In the early days, Thompson showcased his art at incarnations of west coast festivals, then still in their infancy, such as High Sierra , Earthdance , and Harmony Festival . It was around this time that he began what would be a long career pushing the visual envelope at festivals. Then came Burning Man 2005, where Thompson got the chance to showcase his art and others' works in his first installation, The Di-Methyl-Temple . “It was an art temple built upon Mayan, Balinese, and Egyptian decorative motifs that housed the art of many of my contemporaries including Robert Venosa, Martina Hoffmann, Alex Grey, Luke Brown, Victor Olenev, Mark Henson, and others,” Thompson explains. From this auspicious beginning, he began what would be many years of exploration into the largely untapped territory of interactive art installations at festivals. 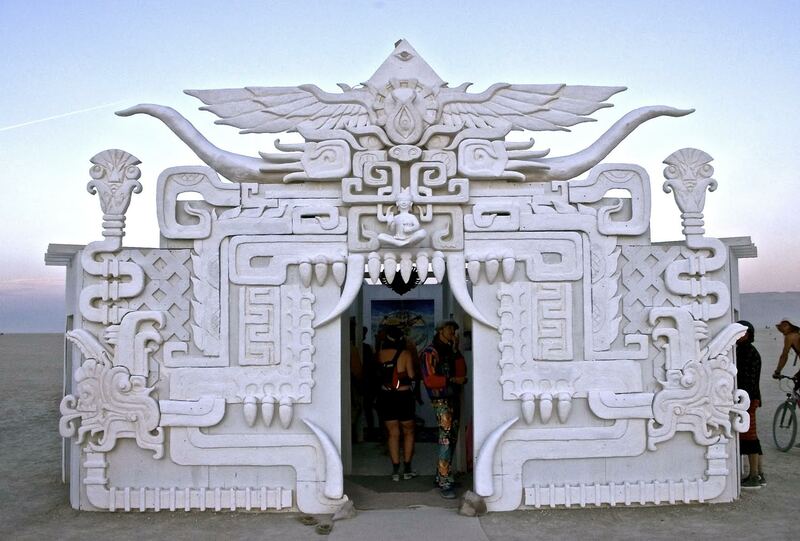 Since The Di-Methyl Temple, he has contributed installations to numerous festivals including the Starport at EDC Vegas, Dave Tipper’s stage at Sonic Bloom in 2014, and the Templo Morpho at Envision 2014; a sustainable, climbable stage tower made of bamboo, clad with psychedelic adornments. In addition to building his reputation as an accomplished solo artist over the past several years, in 2010, he became art director at the infamous Boom Festival in Portugal . This high-profile outlet has allowed him to push his passion for collaborative art to new levels. Not only that – last year at Boom, he realized a dream of many years when he successfully combined projection, LEDs, and laser-mapping on a stage he designed in front of 30,000 people. Indeed, for Carey, dedicating his life to art isn’t simply an individualistic affair; the concept of creative, chemistry-laden collaboration, and bringing the collective abilities of a group together to accomplish something even more awe-inspiring is what drives him. That's why festivals have become part of the cultural zeitgeist – they're no longer simply confined to a limited variety of overstimulated, drug induced states of mania. The influx of different passions pooling together to create a shared experience shows us a small glimpse of what's possible outside of our culturally conditioned, routine-based worldview we experience on a day-to-day basis. “For me, this is the simple solution to our world’s current dilemma" Thompson muses. "As a whole, the human population is lacking in inspiration, deluged with negativity by the media and coerced into a system that fundamentally favors homogeny over individual creativity. So the path of salvation in my opinion, involves staying inspired and using our gifts and passions to inspire others,” says Thompson. If an artist can entice someone to discover a new passion or outlet in life, the artist has done his or her job. Many of the problems we face in our society are a result of the disconnect we feel from the inherent beauty of our world. Being able to draw inspiration from natural world, while inspiring others to do the same, is sorely needed by the human race. It takes extreme dedication, and people like Carey Thompson are on the front lines of this voyage – and the modern festival scene benefits from his bravery. See more of Carey Thompson's incredible work on his website, and be sure to Like him on Facebook.